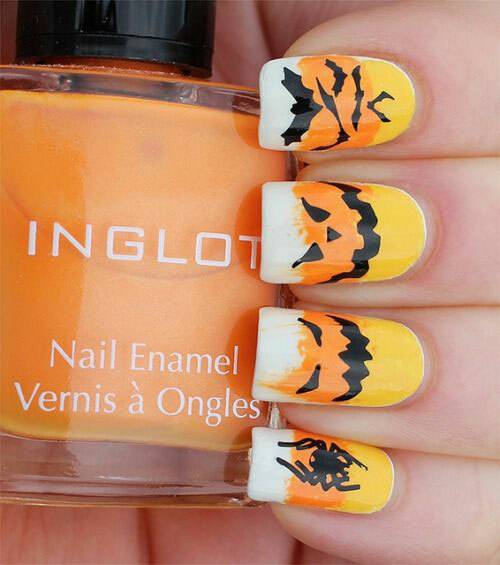 The experts can never stop trying on new techniques that can open up novel vistas and directions especially in the medium of fashion. 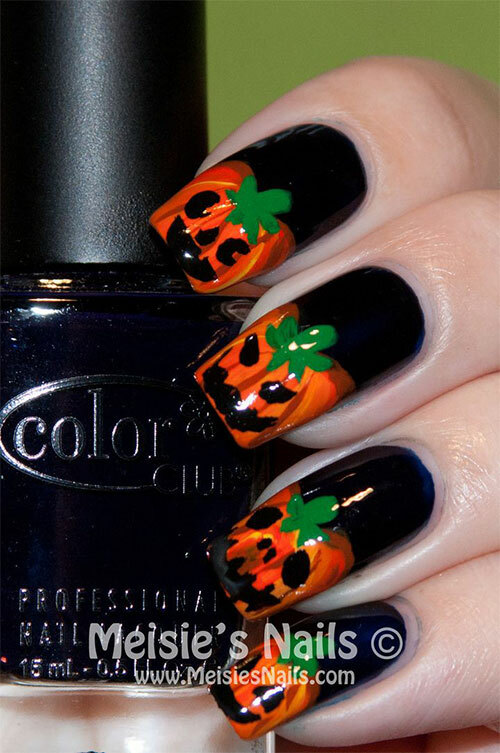 New trends come and go but people always love to flaunt what suits them. 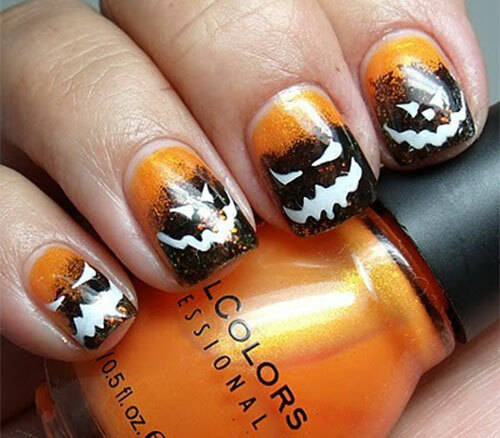 Colorful attires are complemented by nail art patterns so I thought to arrange a post of nail art that is just according to the event. 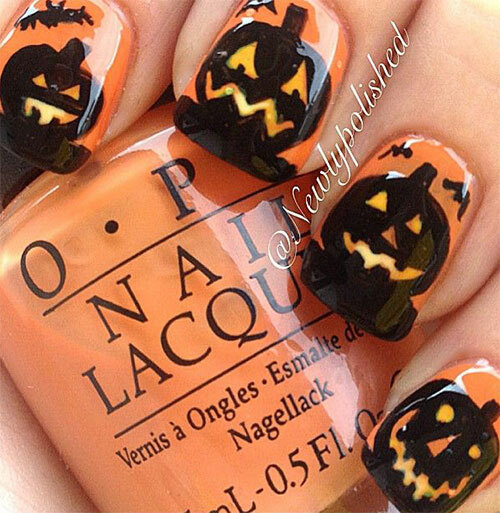 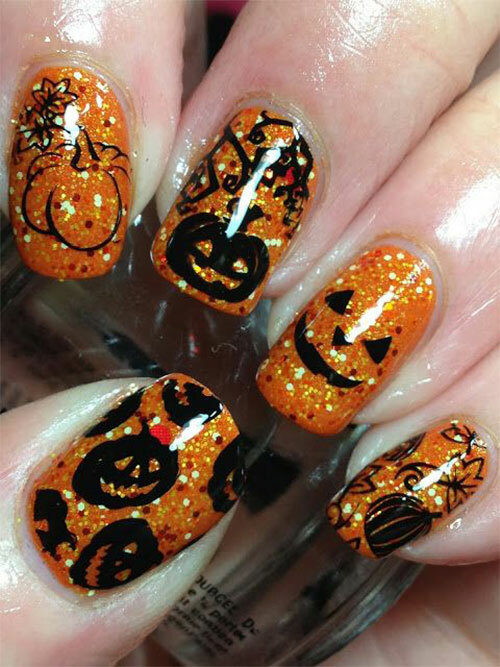 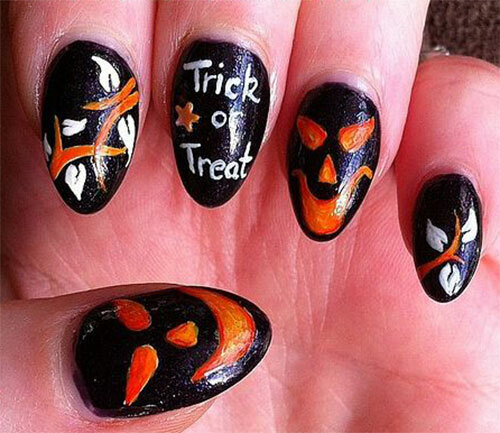 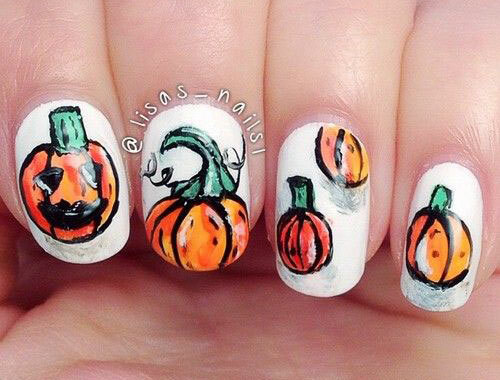 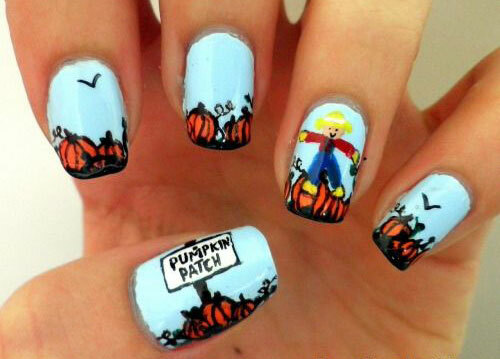 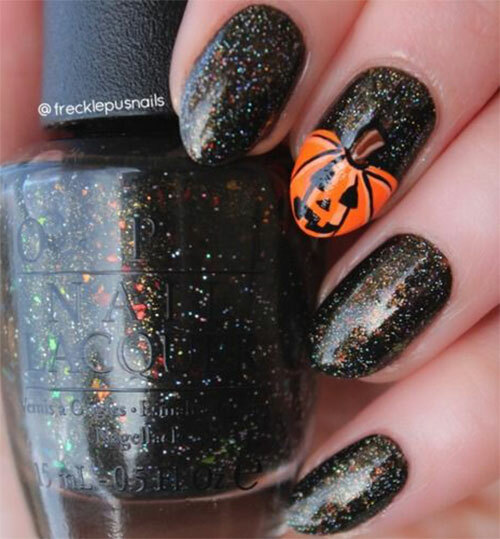 Today I am unfolding before you 12 + Halloween pumpkin nail art designs, ideas, trends & stickers of 2014. 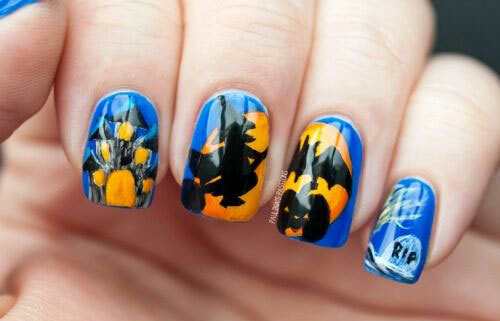 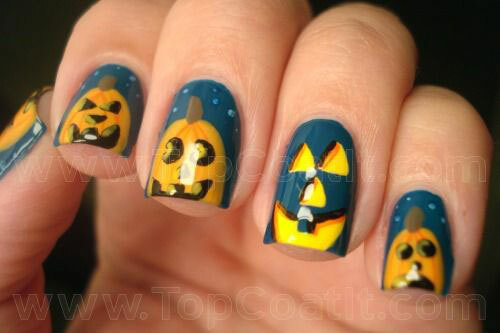 Do the ‘Trick or Treat’ with your mates by horrifying them with your spectacular nail art designs. 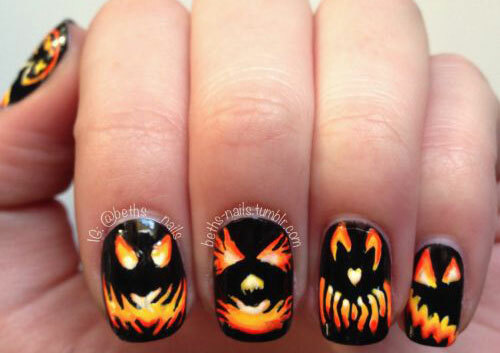 Have the glimpse down here and do let us know what more are you eyeballing at, in the season of horrific Halloween. 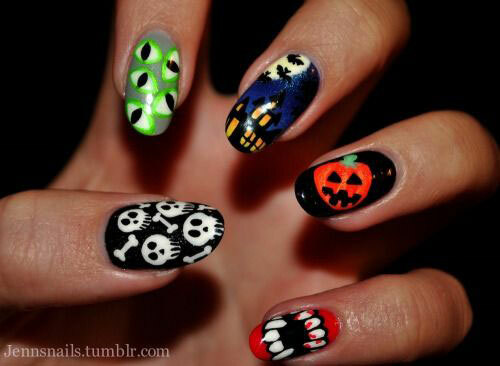 Boo the world!